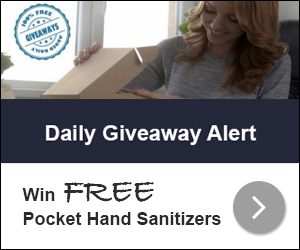 Daily Giveaway Alert is giving away Bath & Body Works Pocket Hand Sanitizer to their subscribers. 500 people will be randomly selected and sent Free Bath & Body Works Pocket Hand Sanitizer. Ends 1/31/16.